With over 10 million new TB cases and 1.6 million deaths, TB is a global health priority. Multidrug-resistant TB is of particular concern to both clinicians and national TB programmes: in 2017, there were 558 000 new rifampicin-resistant cases and 460 000 confirmed multidrug-resistant TB cases. Despite extensive investigation over the years, there is still a great deal to learn about the prevention, diagnosis and treatment of TB. This Monograph brings together chapters from global TB experts and begins with a patients' perspective chapter that sets the tone. 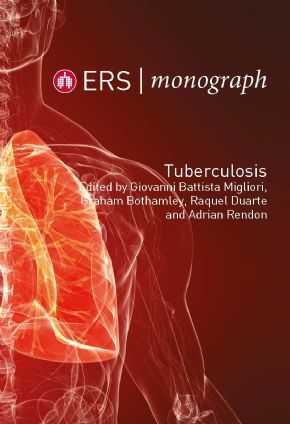 The chapters that follow cover: the history of TB; epidemiology; strategies for control and elimination; clinical and laboratory diagnosis; imaging; treatment and drugs; TB in children and different patient populations; comorbidities; clinical cases; and much more.